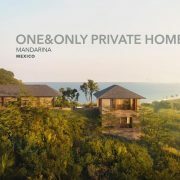 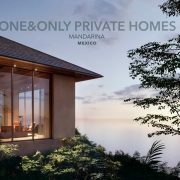 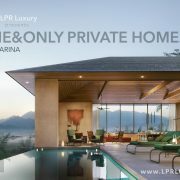 With almost 8,000 square feet of indoor and outdoor living space, what makes Four Seasons Private Villa 50 special are its majestic views of the Pacific Ocean and the Marietas Islands, as well as its privileged access to the services and amenities of the neighboring Four Seasons Resort. 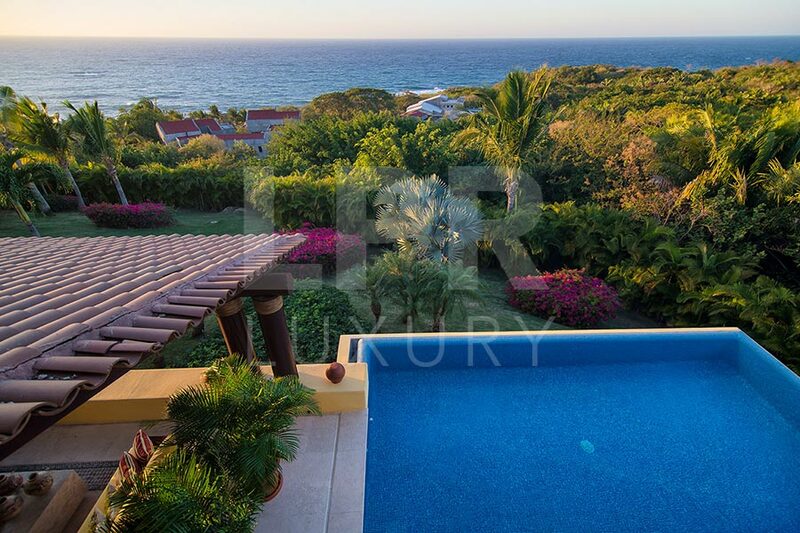 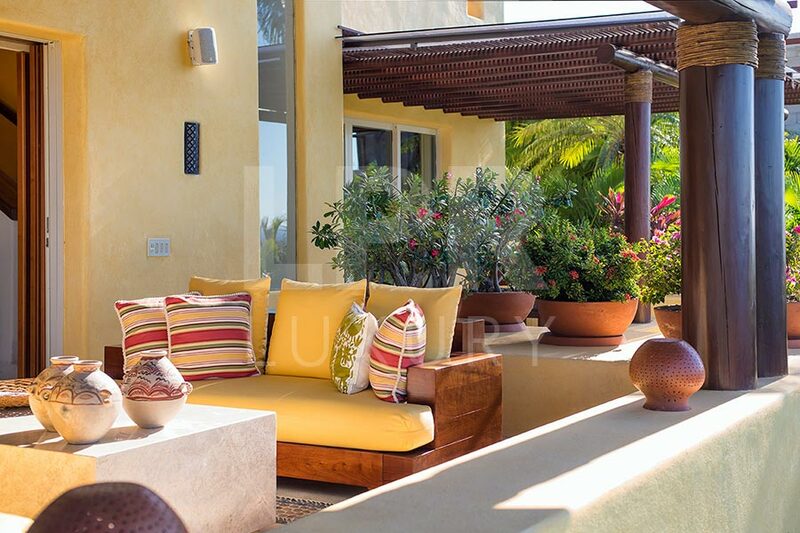 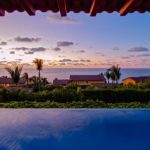 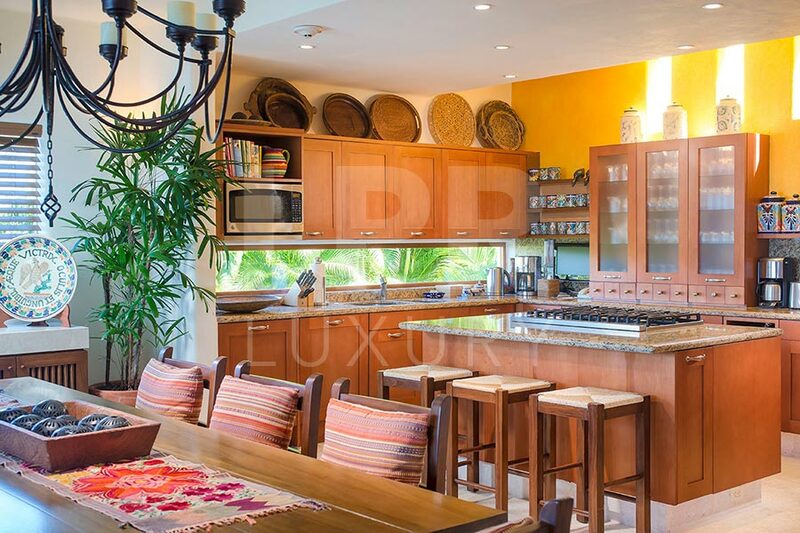 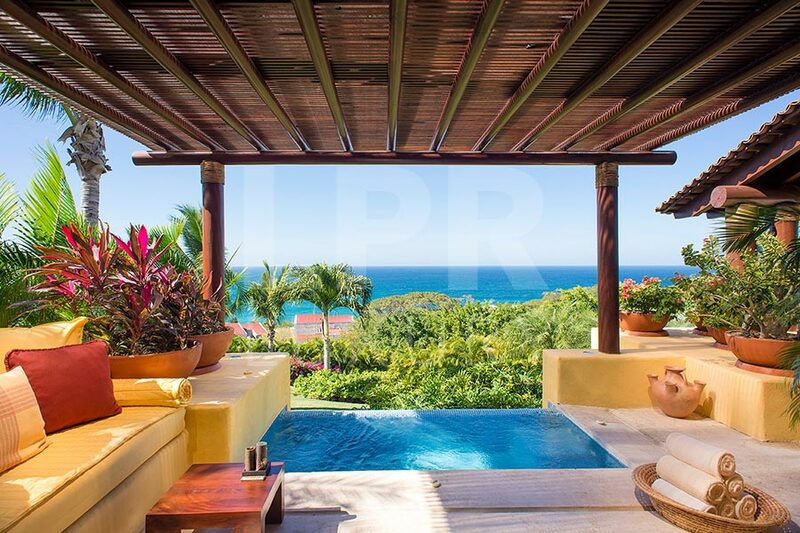 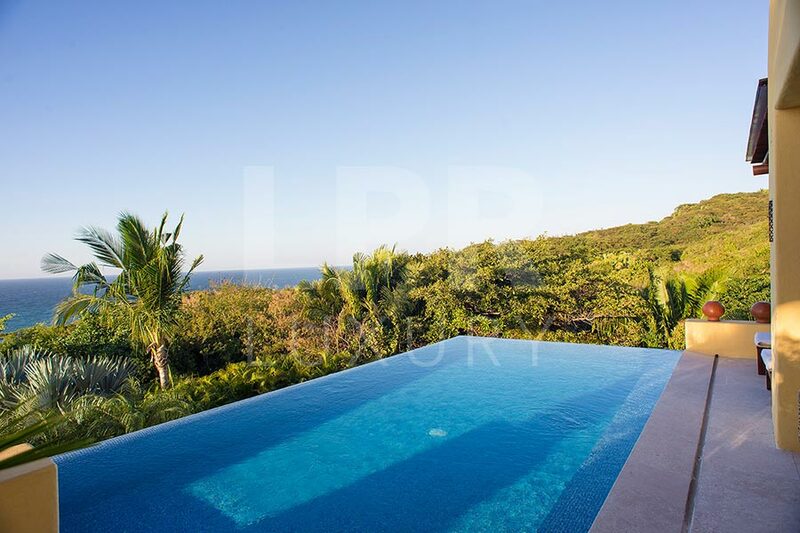 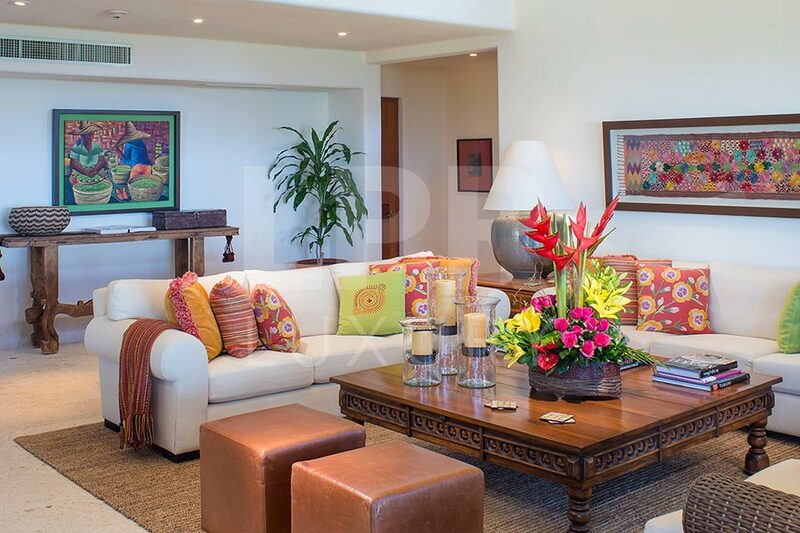 The residence artfully combines contemporary coastal architectural design with traditional colonial Mexican interior detailing, creating a true sense of place, and celebration of the open air, relaxed lifestyle of Pacific Mexico. 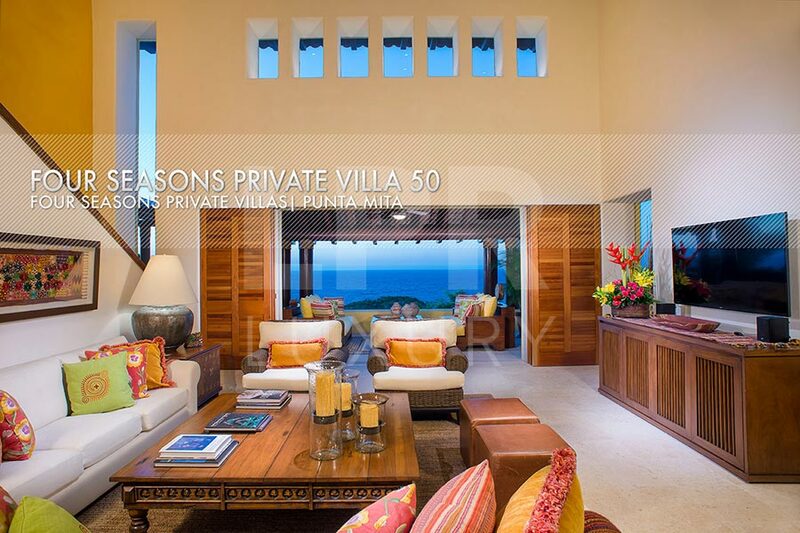 Distinguished by a private infinity-edge heated pool, spacious covered terraces and patio areas, gourmet kitchen and an inviting design, Villa #50 radiates Four Seasons quality and detailing. 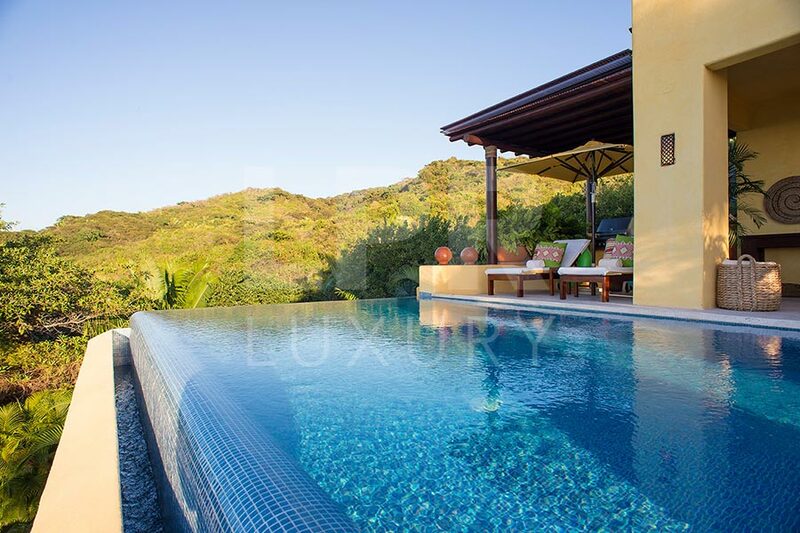 Situated on a coveted hillside setting, Four Seasons Private Villa 50 is a single-level Four Seasons Villa with four bedrooms and 4.5 bathrooms. 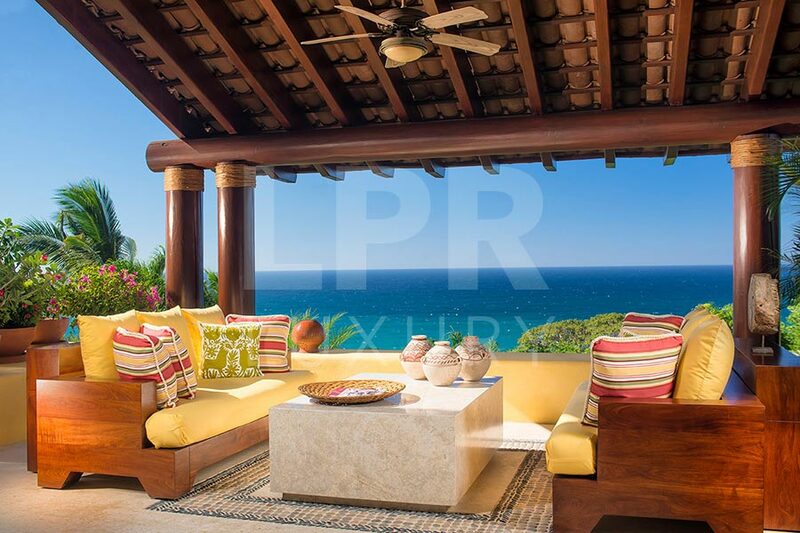 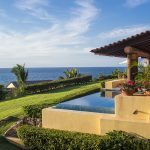 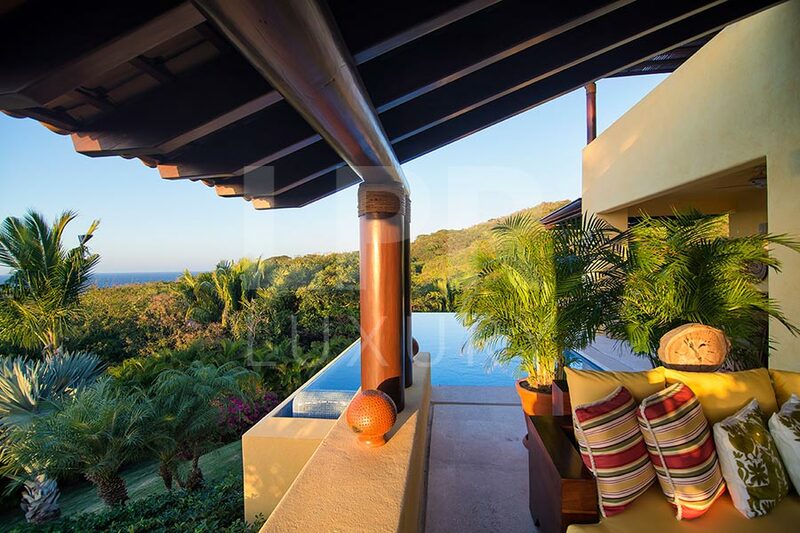 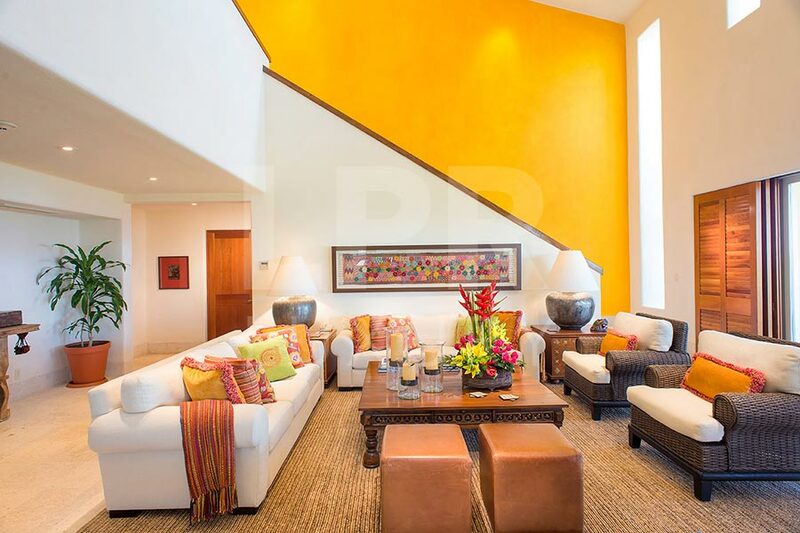 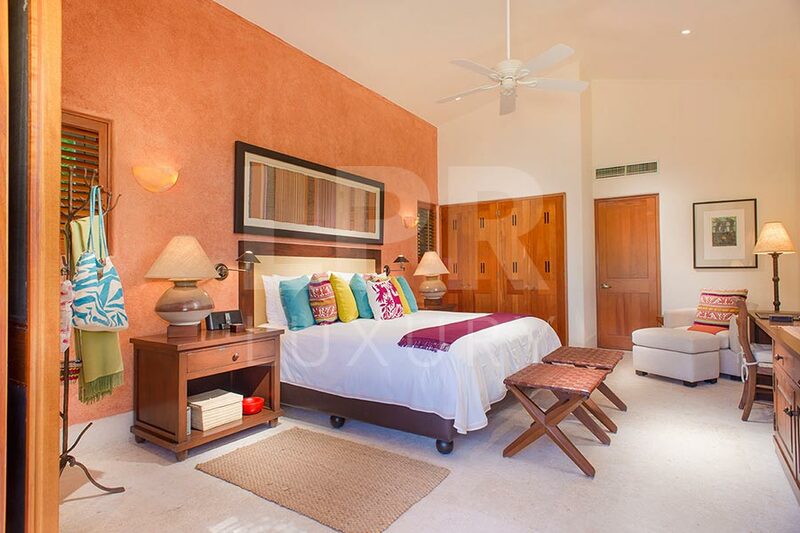 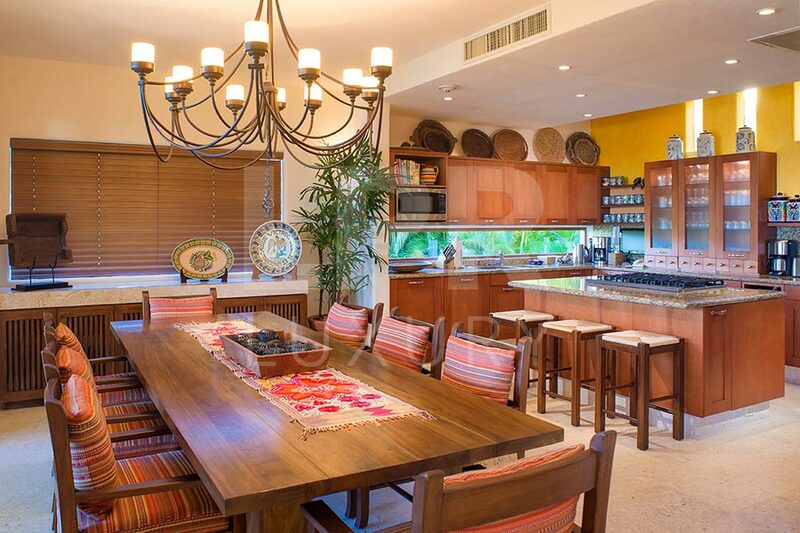 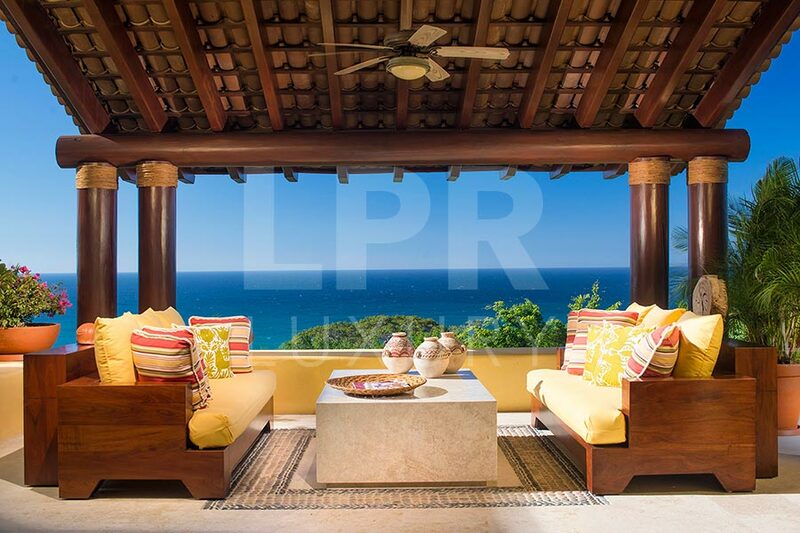 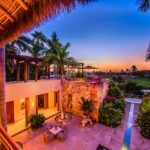 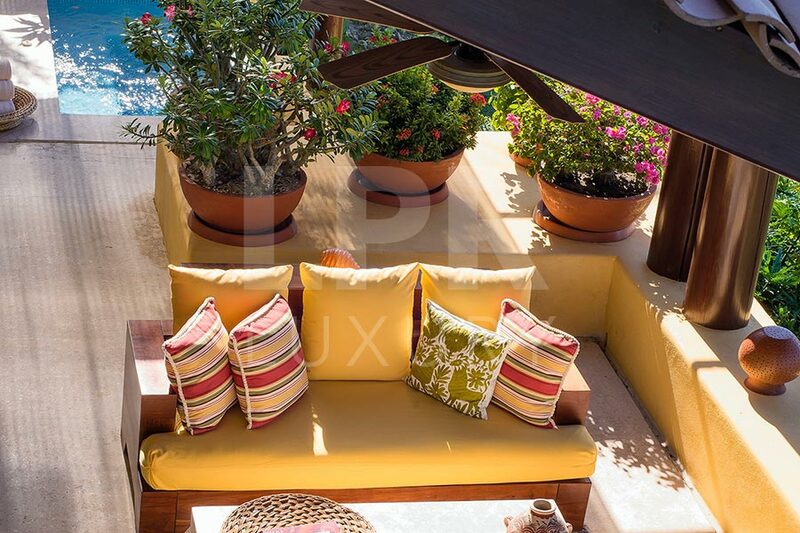 Fully furnished in finest quality classic Mexican decor, Villa 14 features a private entry with hand-carved antique Mexican wooden doors into an atrium, complimented by a striking water feature and firepit. 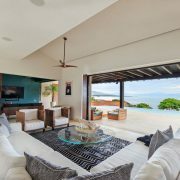 The spacious living and dining rooms open up to the covered terrace, providing the sense of open-air living at its finest. 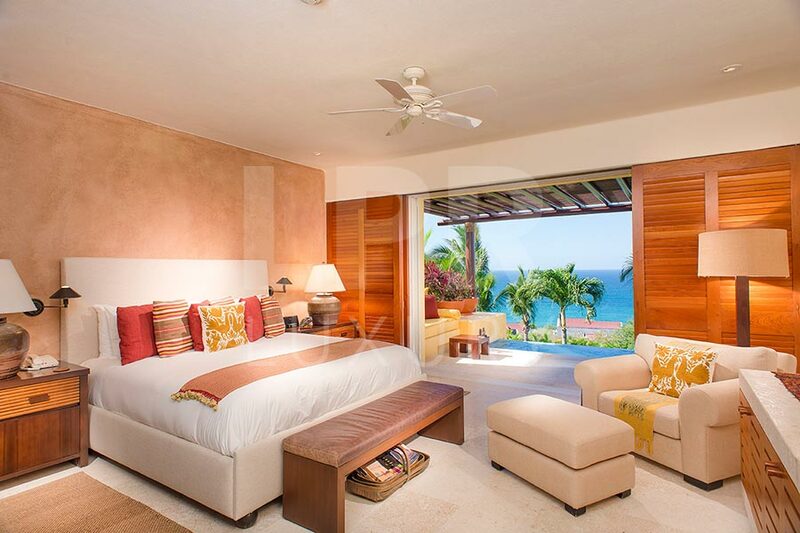 Both the oversized Master Suite as well as the Secondary Master bedroom offer integrated sitting areas, spacious and elegantly appointed bathrooms, walk-in closets and ocean views. 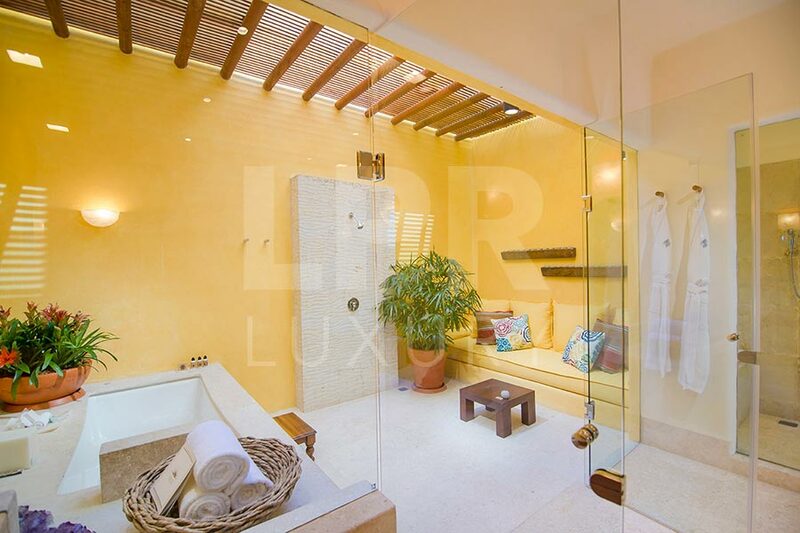 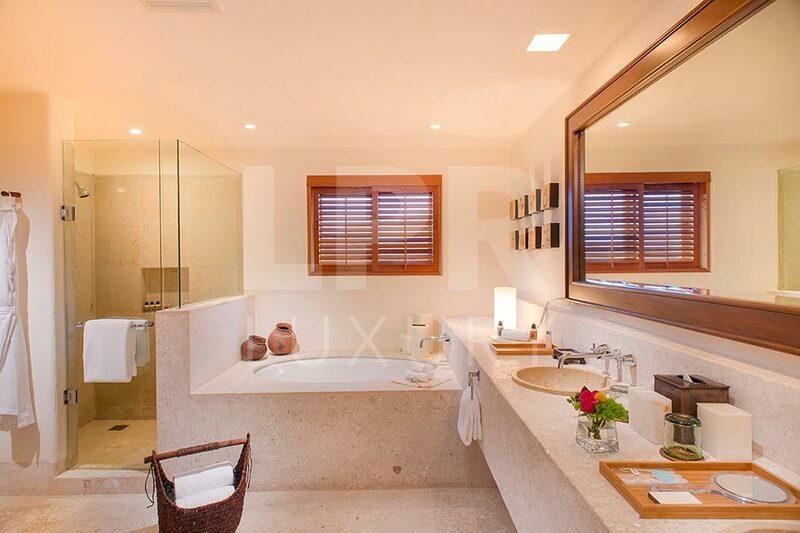 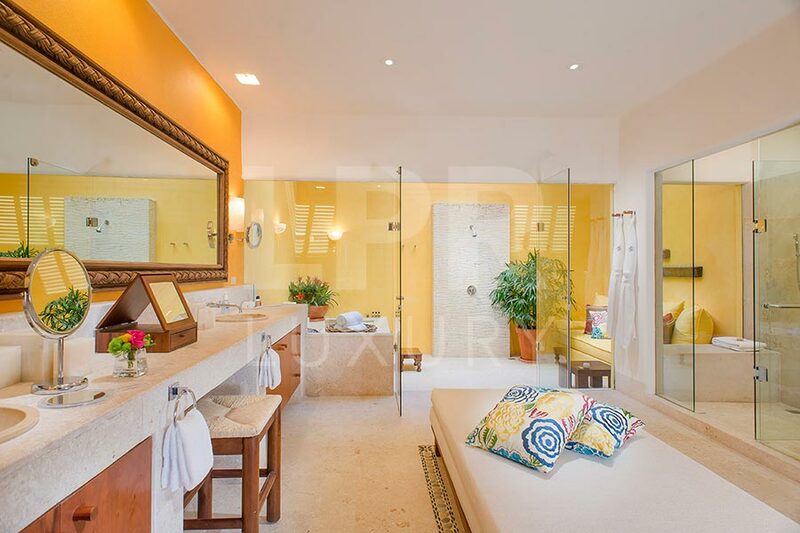 The Master Suite also features an outdoor shower, and a Jacuzzi on its terrace. 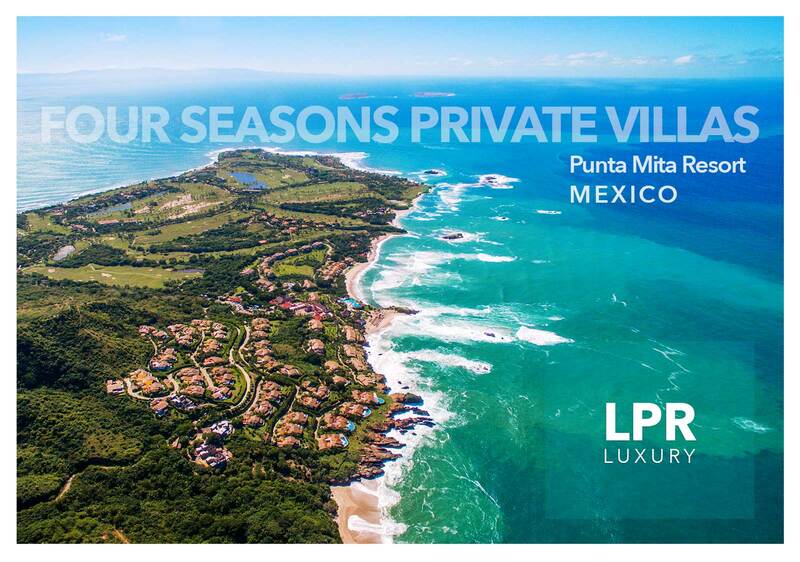 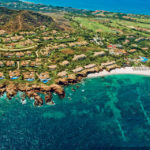 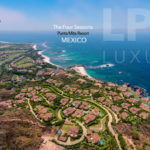 Ownership in FSPV#50 includes membership in the private Club Punta Mita, with its Jack Nicklaus Signature golf courses, Tennis Club (managed by Four Seasons Resorts), and the private Residents’ Beach Club, as well as future planned community amenities. 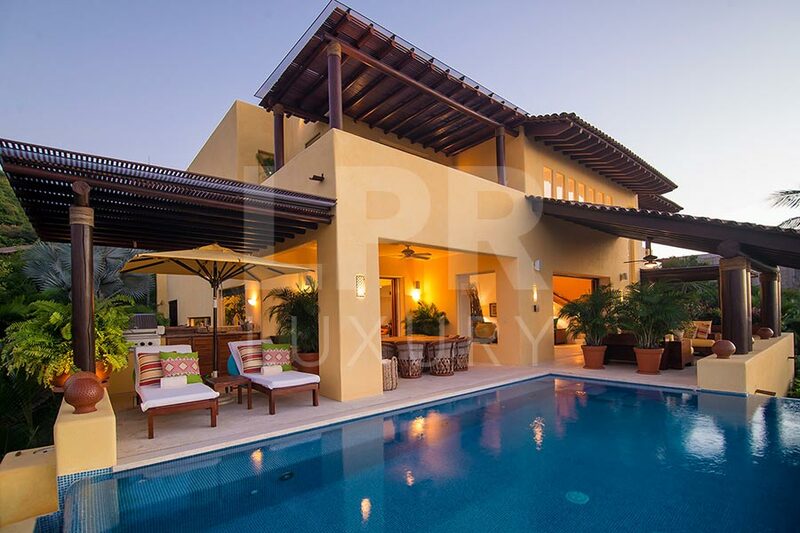 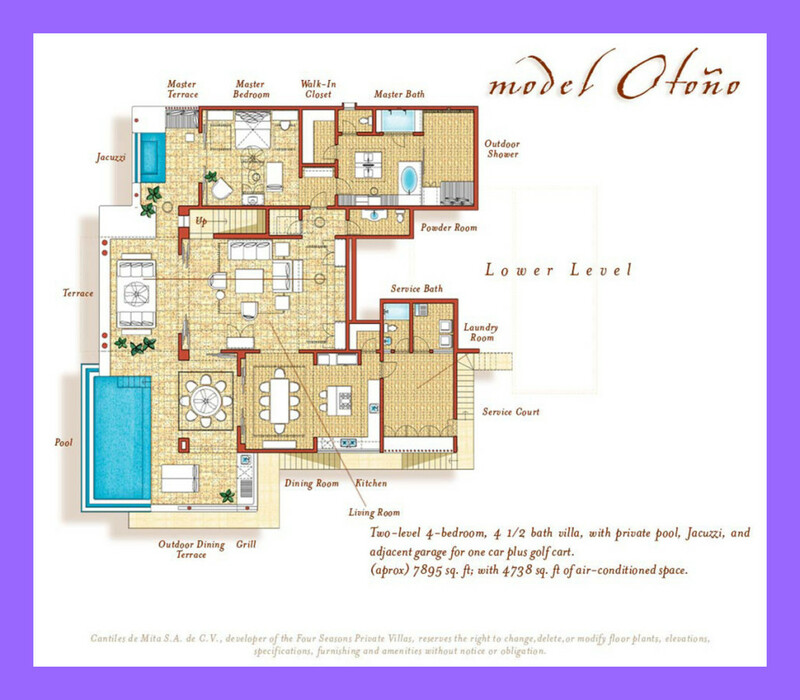 Two-level 4-bedroom, 4 1/2 bath villa, with private pool, Jacuzzi, and adjacent garage for one car plus golf cart. 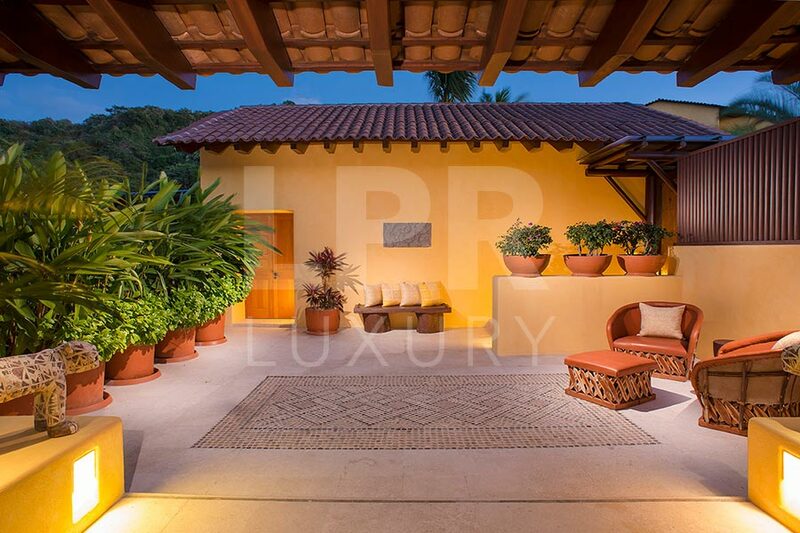 7,895 square feet with 4,738 square feet of air-conditioned space. 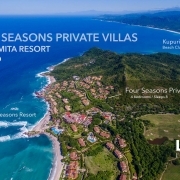 A five-minute stroll or short shuttle ride from the Four Seasons Resort Punta Mita provides owners convenient access to the Resort and all its amenities. 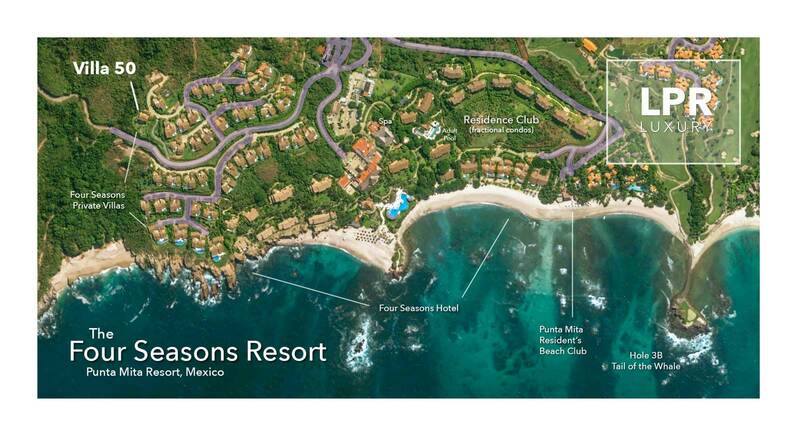 Use and access of the Residents Beach Club. 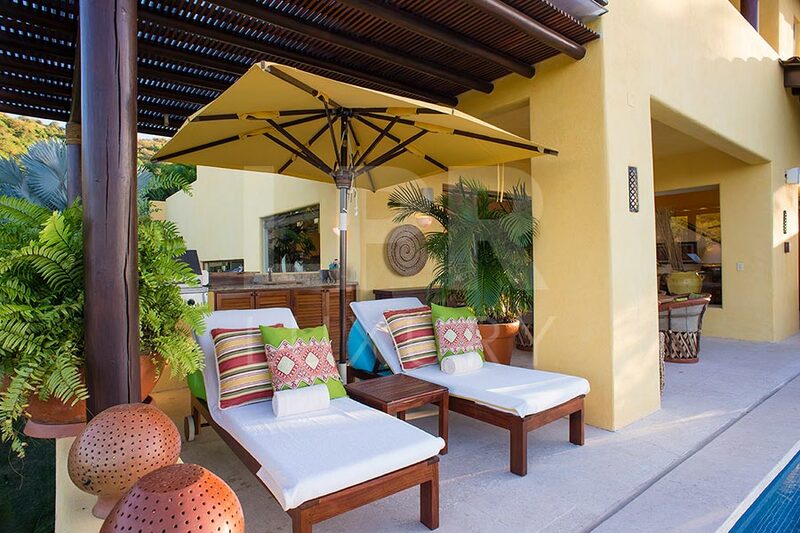 Groceries not included but we can facilitate the purchase of these items. 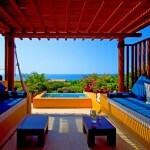 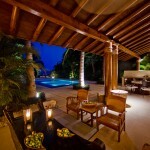 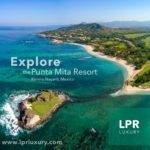 Punta Mita Concierge Service for car rentals, tours, water sports, massages,etc. The maximum number of people cannot exceed 8 in the villa. 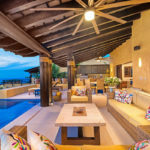 Two-day security deposit is required as a guaranty to cover the telephone use as well as any assets of the house that may be damaged by the stay of the guest. 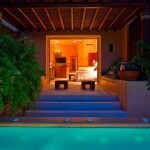 This deposit will be returned once the miscellaneous charges are covered. 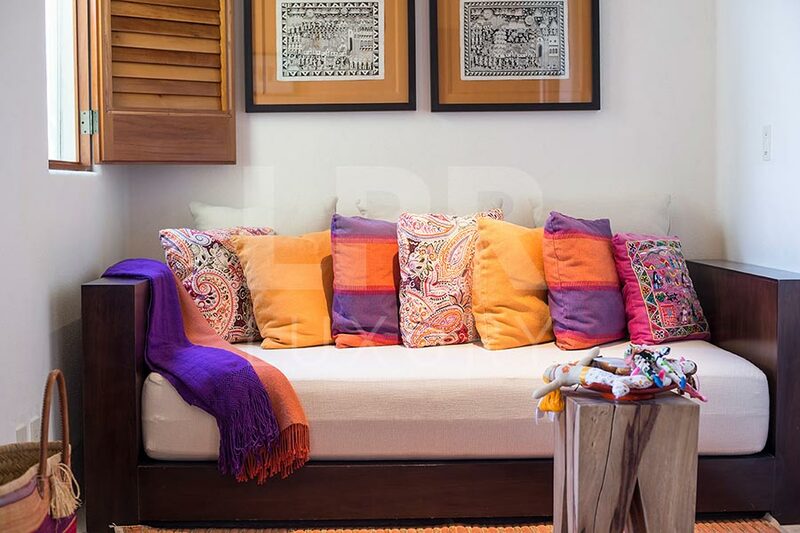 There’s a non-refundable policy in case of cancellation or delay in entrance.